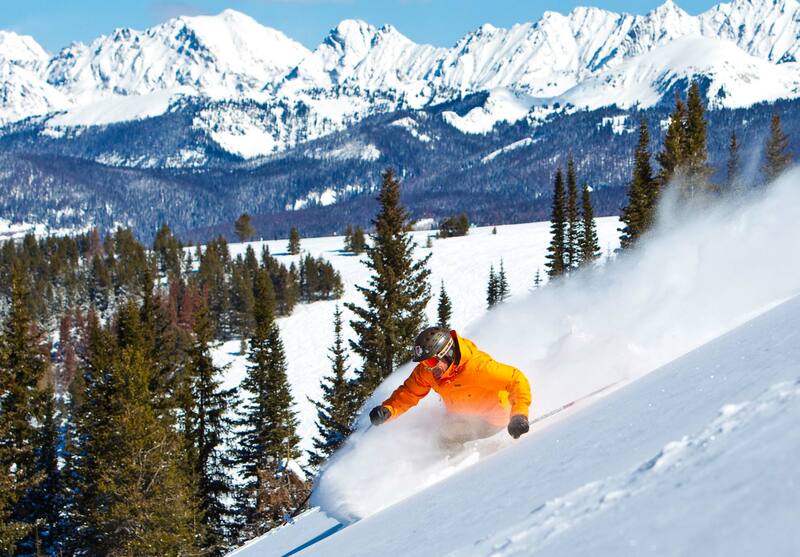 Vail has consistently been ranked as North America’s top ski resort. It is at the centre of a unique Colorado climate pocket, and is the biggest single ski mountain in the US, providing it with an unbeatable natural environment for skiing. Vail is also renowned for its truly remarkable vacation experience, from the world-class Vail Ski School to the first-class activities, concerts and festivals, shops and spas, cosmopolitan dining and nightlife, Vail offers something for all tastes and styles. Equally world class are Vail’s hotel and lodging offerings - starring some of the best in North America. You can soak in the view from outdoor hout-tubs, surrounded by snow, or from your own private tub on your accommodation balcony. Vail is linked by two bustling alpine base areas – Vail Village and Lionshead Village – each filled with dozens of shops, restaurants, bars and après hot spots. Lined with cobblestones and architectural features reminiscent of a centuries-old European village, these shopping and dining passageways are pedestrian-only zones allowing for an outdoor experience like no other.